Is Your Passion For Trading … Or Winning? How do you feel when you place a trade? Excited that you have found an opportunity to place an order? Ready to watch the action unfold as the bars on chart go up or down and you profit or lose? Do you take every possible chance you can to enter a trade? Does it drive you crazy to sit on your hands and watch the bars go past without doing anything? Do you feel like you are wasting time if you are not in a trade? If you answered “yes” to these questions, you sound like you have a passion for trading. … But maybe not a passion for winning. For many traders, especially novices, it is easy to confuse a passion for trading and a passion for winning. They are very different things. Trading is an activity which does not necessarily have to lead to winning. 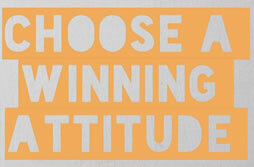 And winning is an activity which may entail a great deal less trading than you would like. In fact, I am willing to go so far as to say there are a lot of people who are passionate about trading, but very few who are passionate about winning. Something like 90% of traders are probably passionate about trading on some level. I am guessing that around 10% are passionate about winning. And out of that 10%, perhaps 1% will actually consistently achieve it. How Can You Have a Passion for Trading But Not Winning? What is going on with the 80% of traders I mentioned above who are passionate about trading but not winning? How can they not care if they win or lose? It all comes down to how you define “caring.” Anyone can say, “I want to win, of course. I want to make money. Otherwise I would not be trading.” But the reality is that your passion is not decided simply in your mind based on your emotions. Your real passion can be measured by where you put your energy, and the real-life choices you make. If you have an emotional attachment to the idea of winning lots of money, that is not the same thing as making the choices that can lead you to actually win. Someone whose desire to win never motivates them to make the smart choices is not passionate about winning, no matter how much they may say they are or believe they are. They are simply addicted to placing trades and hoping for the best. Have you ever heard the term “overtrading?” It is one of the most common mistakes of all binary options traders, novices and veterans alike. The thinking is, “The more trades I take, the more chances I give myself to win.” Those who overtrade are addicted to placing trades, believing that the more trades per week or month their system generates, the better their chances are of achieving success. Note that the example above is an oversimplification, since most brokers do not pay out 100%. What actually results? At the end of the month, you may find yourself in the red, wondering what happened. Instead of winning 12 trades and netting $240, you may lose 6 trades and win 6. Yes, that means you will win roughly $120, which is more than $60—but you will also lose $60, putting you back at breakeven. Or you might even win the majority of your trades. Let’s say you win 8 trades for $160, and lose 4 trades. Your net amount would be $80, which is scarcely better than the $60 you might have received if you had won 3 trades in a month. Your win percentage would be about 67%. Now consider that in real life, you might expect payouts that are closer to 80%, and out-of-money refunds of around 10%. Your profit would then drop to $56. Wait a second … that is less money than you would have made if you had just placed three really great trades and won them all, instead of a dozen so-so trades. With the system where you are overtrading and achieving a 67% win percentage, you are actually less profitable with your 8 wins than you would be if you had only taken the very best trades and entered just 3 positions, winning all of them. Now you can see how, sometimes, less is more. How Do You Know You Have a Passion For Winning, Not Just Trading? It may beg the question for some traders, but for others, it can be really hard to measure intentions. None of us have perfectly transparent self-awareness, and we can be very adept at fooling ourselves into believing we care about winning when we actually do not. How can you figure out when you are trading intelligently and making the kinds of smart choices that lead to winning? How do you know when you are overtrading and when you are not? If you find yourself choosing a trading system or making decisions about positions based on how many trades you are entering, or how often you are trading, you are obsessed with trading, not winning. When you find yourself saying, “I need to place at least one trade every X days in order to succeed,” you are setting yourself up to fail. When you hear yourself saying, “I haven’t taken a trade in way too long; I need to find an opening and just take it,” you are overtrading. Your statistical results. Do you have a high win percentage overall? Are your losing streaks brief? Does the system you have perform well in and of itself? While it is certainly possible to profit over time with a system that wins 67% of the time (as in our example), you are going to do a lot better in most cases with one which wins 80% of the time. Be realistic; you are not going to win 100% of the time. Even a system where you only take a few trades per week or month though can generate very high returns over time if your win percentages are high! Optimal trade setups. You should never enter a trade because you feel like it is “about time you placed a trade already.” You should enter into a trade because you see an amazing setup which fits all of your entry criteria perfectly or near-perfectly. It should be the setup itself which tells you it is time, not a measurement of hours, days, or weeks. You cannot schedule success along an X axis. You can only schedule it based on the activity you see going on with the bars, indicators, and economic events. If you could schedule trading success according to minutes, hours or days, wouldn’t we all be making money effortlessly with binary options? Your bottom line. Ultimately, profit is measured in terms of money, and that is how you should measure yours. Is the amount in your bankroll actually increasing with time, or is it declining? If you are losing money trading, you are either overtrading or making other mistakes which are costing you. A patient trader who is dedicated to winning will do everything he or she can to make sure that profits continue to increase over time. But What About Building Experience? This is one more argument that traders make to justify their overtrading habits. They argue that they need more trading experience, and that they are not going to get enough of it if they keep trading only the best setups. This argument falls flat for a number of reasons, however. The fact is, there are many ways you can practice trading binary options without compromising your bankroll or your integrity as a trader. Backtest. You want to get a lot of experience fast? Backtesting is the way to do it. Download some charting software, and get yourself set up. Go back in time on the charts, and test out trading methods until you find one that gives you awesome statistical results. You can test out your trading methods on a ton of different assets and time frames. You can squeeze years or even decades of experience into a few hours of time. This is one of the best ways you can practice without costing yourself time or money! Demo test. Backtesting is imperfect because it does not allow you to experience what it is like to trade in real time. It also is flawed for binary options trading because you cannot always perfectly control your trade entries and exits. Your broker’s trade features and trade types will constrain you. For this reason, you will want to demo trade for more experience. This takes time, but it does not cost you money, and it is a great way to get that practice you need without taking trades you should ignore in real life! Try trading other assets. Still feel like you are not getting enough trades? One more idea that will prevent you from compromising on trade setups is to simply trade more assets. You may find great setups for other currencies, commodities, stocks, or indices that you simply are not seeing if you are only trading one or two assets. Try expanding and see what happens. Just make sure to test everything first. The experience you need to become a first-class binary options trader is not just experience taking trade after trade, chasing after any banner you think might lead you to victory. It is experience in trading the best setups only, and learning how to forego the rest. It is a question of integrity and discipline, and yes, it is a challenge. Sometimes it means sitting on your hands, watching second-rate opportunities pass you by. Other times it may mean feeling like you are wasting time—even though you are not. That is the kind of experience it takes to become a winner. If you can weather the slow times and hang in there waiting for the real opportunities, you will be passionate about winning, not just trading. And that is the kind of passion it takes to make it!